For my birthday, Kyla wanted to get me my Tako, or Octopus, tattoo. I've been wanting this tattoo for a while now but never had the time too. 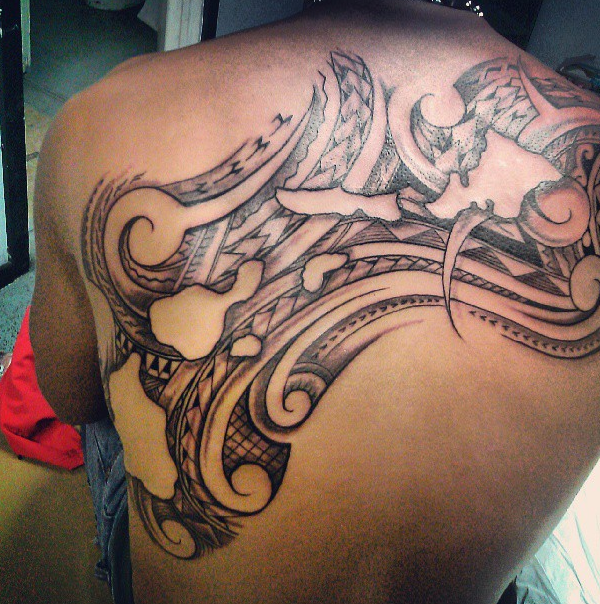 My first tattoo was done by Ali'i Scanlan, owner and artist of Matai Tattoos. He is a licensed tattoo artist with amazing skills. Of course when it was time to make my appointment I gave him a call. The night before my appointment he called me saying that the electric at his shop was out because of nearby construction workers that accidentally hit the electric line. He then asked me if I didn't mind tatting at his house. I didn't mind at all. He has done my moms, sisters, cousins, and brother in-laws tattoos. The first session was about 4-5 hours long. I left early due to prior arrangements. I scheduled to finish my Tako one week later and got to tat in his shop. I put together this video for Ali'i to showcase some of his work. All of it was filmed with a GoPro Camera. Enjoy! The real octopus tattoo meaning comes from its ability to grow back limbs. Much like humans octopus adapt to the conditions they are in. If they are in a tough situation then octopus will use their brain and respond intelligently much like a human would. The moral of the story? That much like octopus humans can learn to disengage things in their life that are not needed anymore. Bad habits and addictions can all be changed. We like octopus, can adapt to new surroundings and change with the time. Another reason why I wanted a Tako as a tattoo is because I love to dive and eat Tako! Some of his work below.